University of Texas Press, 9780292715349, 480pp. 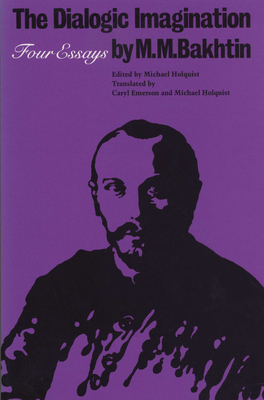 These essays reveal Mikhail Bakhtin (1895-1975)--known in the West largely through his studies of Rabelais and Dostoevsky--as a philosopher of language, a cultural historian, and a major theoretician of the novel. The Dialogic Imagination presents, in superb English translation, four selections from Voprosy literatury i estetiki (Problems of literature and esthetics), published in Moscow in 1975. The volume also contains a lengthy introduction to Bakhtin and his thought and a glossary of terminology.